Okay, girls and boys, which noted English poet who co-founded the Romantic era penned the immortal words, “Water, water everywhere/nor any drop to drink”? If you answered Samuel Taylor Coleridge, in his poem “The Rime of the Ancient Mariner,” you get a gold star — and you get two gold stars if you are an employee of a public works department. Because water is essential to life, we’re all greatly indebted to those who make sure it is clean, fit to drink and abundant. Additionally, we are grateful to those folks who find ways not only to improve our water supply, but also correctly measure it so that there is enough for all. Robert Conner, director of water utilities in Lakeland, Fla., volunteered some information about new high-tech water meters in his city. According to Conner, for economic and tactical — Department of Energy deadlines — reasons, Lakeland Water Utilities did not implement simultaneously because the city recognized that continuing manual reading in parallel with centralized automated reading is an ineffectual way to generate a shared bill. “Therefore, we have been working to build a compatible hardware and software solution to allow the water meters to be read and billed by the same hardware and software as used by Lakeland Electric,” said Conner. Professional Meters Inc., a 1999-founded company in the automated meter-reading industry, is based out of Morris, Ill., and has offices in Florida, Missouri and California. PMI has successfully installed more than 1 million Automatic Meter Reading and Advanced Metering Infrastructure-equipped meters. Don Shuler, PMI sales director, said the company is a product-neutral utility meter installation contractor and doesn’t actually represent a product or a specific meter brand but has installed just about every brand of intelligent metering system in the U.S. market. 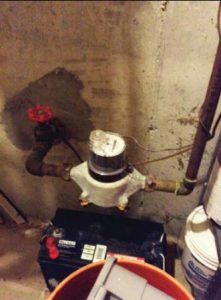 When it comes to installation, Shuler said the greatest challenge for indoor meters is scheduling an appointment with customers to get in the house and down to the basement in order to change the meter. Hoppenworth added, “Our biggest challenge is that the technology is relatively new, which means the software is not as mature as it could be. The bells and whistles are not as numerous as they could be and the integration to other software applications is also more challenging. Lakeland also has an opt-out program for its residents, noted Hoppenworth. Frances Fyten, an associate of Reputation Partners Communications in Wisconsin, shared the success of Merced, Calif.’s, installation of Badger Meter’s smart water meters when the notorious drought hit the San Joaquin Valley in northern California in 2014 and 2015. 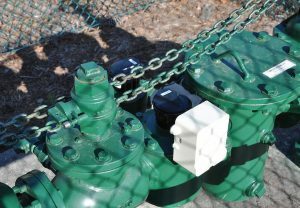 • Implementing a more efficient meter reading solution — it originally took two workers more than a week to read all of the meters within the system. Fyten also noted that by installing cellular endpoints alongside Badger Meter’s cloud-based analytics platform, BEACON Advanced Metering Analytics, the utility vastly improved its response time, efficiency and reliability. “It was able to identify and address leaks within the system in 24 hours compared to every 30 days, per its original billing cycle,” concluded Fyten. • Allows the city to notify residents and businesses of plumbing issues in a timelier manner for quicker resolutions. When asked what advice he would give cities that are contemplating the switch to high-tech water meters, Hoppenworth did not hesitate to answer. 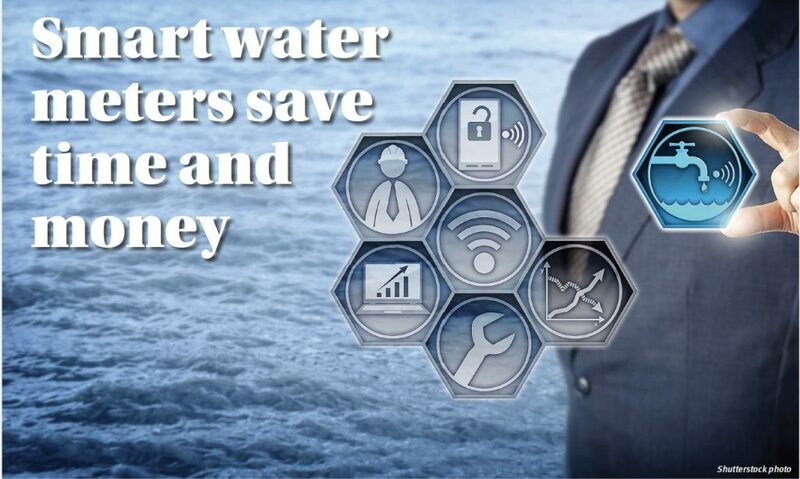 Another bit of advice is that project planning for both now and 15 to 20 years is very important, according to Hoppenworth, because a smart water meter’s life expectancy is 15 to 20 years. “If the new smart meters are installed in a short period of time, they will have to be replaced in the same amount of time as they reach their end of life,” said Hoppenworth. “The cost may surprise some utilities if they do not consider the next generation of smart water meters.